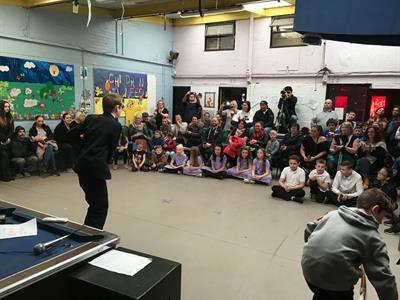 The project is designed to encourage children to use their creativity and individuality to find whatever talent they posses and be confident enough to showcase it at the Playbarns talent show. At the start children will choose their acts or roles it is our jobs to accommodate and advise. The judges will pick their favorite 3 acts, which will go to the final. The project will continue annually. Props, recording and editing will run along side the sessions. Children and young people from deprived backgrounds rarely get chance to express themselves. This project allows children to perform like their idols and take the spotlight. The children will take charge of their own performance guided by the staff and using the equipment to make it extra special. For those that do not want to be at the heart of the performance, there is the added option of sound and video editing, scene setting and presenting the show which is where the DJ equipment and the camcorder is essential. The children will learn new skills, be physically active, work as a team and engage positively with the people of the local community who will watch in pride. The main reason that this project is great for the children is because it allows children to have access to equipment that they wouldn't have access to with out us providing it. It opens life experiences and may lead to them finding a passion which they may follow into adulthood and achieve beyond expectation. The equipment that we will purchase will help us take this project to the next level and help young people learn skills like DJing and video editing which steers them towards career paths that they would otherwise not have knowledge of or access to. It will also community sprit and motivate the children to take part and for parents to encourage them to continue. Although the learning outcomes for this project are tremendous, the main thing we aim to get back from this project is to encourage children to take part in something fun, positive and stimulating. We hope to create a sense of pride and achievement in children and encourage them away from the stereotypical "estate kids" label that they are often painted with. The project will also be open ended as once the equipment is in place the staff will be able to repeat the project each year and also run other side projects throughout the year and help use stretch our service out to attract new users. Well the talent show was a huge success we had over 50 proud parents and careers and managed to raise around £200 for our Spacehive project will be online soon. The children did very well and are raring to do it bigger and better this summer so please help us push this project for the last 12 days to try and hit our target. Thank you so much for those that have already donated, attended and for sharing our Spacehive page we are very grateful. To give people a taster of the potential that the children have, we are putting together a low budget talent show/fundraiser. 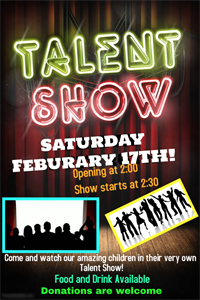 The show will take place at the Playbarn on Saturday the 17th of February and we will have games, food and drinks and a chance to meet the staff and find out more about our Playbarn's Got Talent project. All children will need to be accompanied by an adult and all funds raised on the day will got towards our Playbarn's Got Talent project. Remember, should we be unsuccessful in our space hive bid, we will use any money raised to provide equipment or activities for the children. We have been given an extra month to really push our bid. "What will we do with that extra time?" you ask, well your in for a treat. On the 16th of February we are planning something big to help us show the local people that the Playbarn really does have talent. Stay tuned for more information. We have hit £3000 but we have more still to go! Lets push this to the end so we can get this show on the road. Thank you for supporting our project we are so pleased that it is gaining momentum. We have 7 days left so please share our project and push it as far as we can. Time is running out. Northfields Adventure Playground is a charity-based organization ran by a voluntary management committee built from parents and ex users in the local area. We provide safe, stimulating play activities for children 5-16 years and have been doing so successfully for over 35 years. We aim to be fully inclusive and all children are treated as individuals with individual needs. The children socialise, build lasting friendships and learn to take acceptable risks in a controlled environment supervised and supported by our fully trained staff team in order to facilitate on all levels. We have a large outside area with many different levels of structure leading to a giant slide, a sports area, rope swings, sandpit, a fruit n vegetable patch, a nature walk and more to cater for all ages and stages. Inside we have Internet access for games and homework, pool tables, table tennis, a cinema room, a dance studio and a sensory room. We encourage children to learn key skills such as cooking, personal hygiene and recycling. Children/young people are actively encouraged to engage in physical activities ranging from dance, drama, tag, hide and seek, tennis, football, cricket and more. 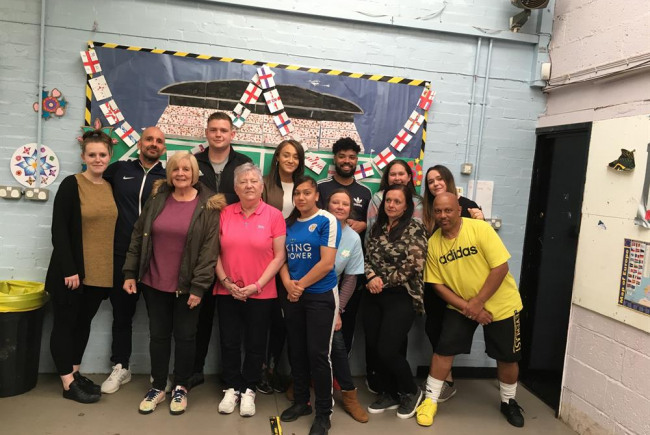 We like to offer opportunities to take part in a range of activities to help them grow into themselves as they progress on to adulthood, a lot of which they would not otherwise have access to. The playground strives to eradicate racial and social barriers and encourage children to integrate with others in a safe and positive environment. Our staff team work around the clock to secure funding and specialized equipment to ensure that our work ethos is met. Over the years we have worked hard to make our setting inclusive for those with additional needs ranging from mild to severe learning difficulties and we are currently able to offer one2one support via our additional needs worker. Our after school club runs 5 days a week during term time and we run a playscheme during the school holidays. We are only closed for 2 weeks of the year excluding bank holidays. Project Delivery Manager: Northfields Adventure Playground The Project Delivery Manager takes legal responsibility for receiving and spending the funds raised and ensuring the project is delivered.